To celebrate the 40th year since their founding in 1979, Vance & Hines introduces a limited edition line of exhaust systems highlighted by special gold badging. This golden nameplate features the 40th anniversary logo, laser engraved and is sure to be a collectors item for years to come. Featured as part of the 40th anniversary line, Eliminator 300 Slip-ons for Milwaukee-Eight Softails are crafted with precision-machined billet end caps inspired by the Vance & Hines flat track racer. 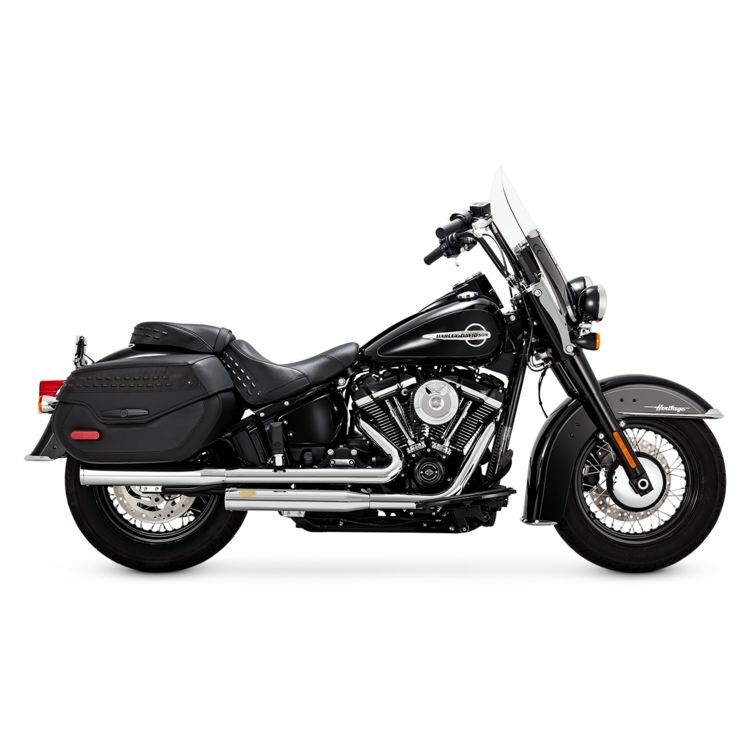 Eliminator 300 Slip-Ons expand the line to the Milwaukee-Eight powered Softail family. Crafted with precision-machined billet end caps, the Eliminator 300s are tuned with glass-wrapped acoustic baffles for a deeper tone over stock.